My highest compliments to you. Been playing about six years trying to learn by multiple methods. 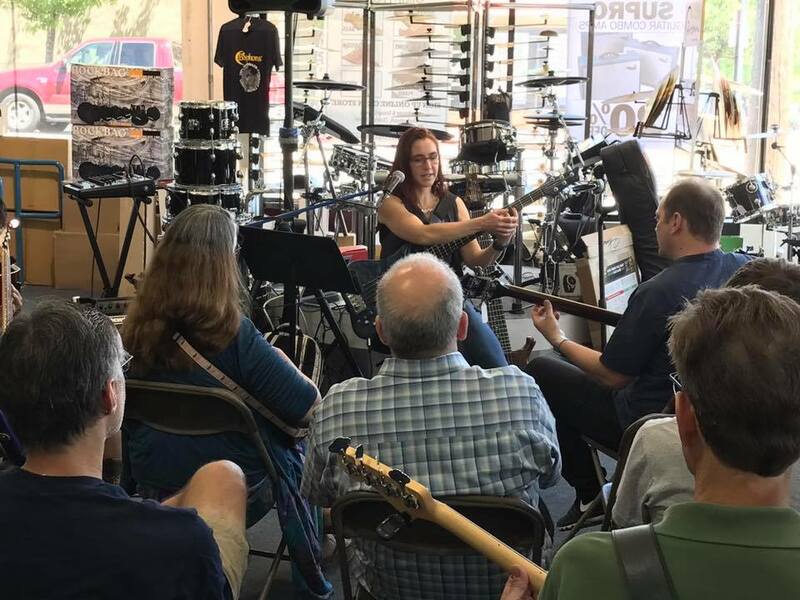 Developed as a bassist more in the past five weeks in your course than the past couple years with other stuff. 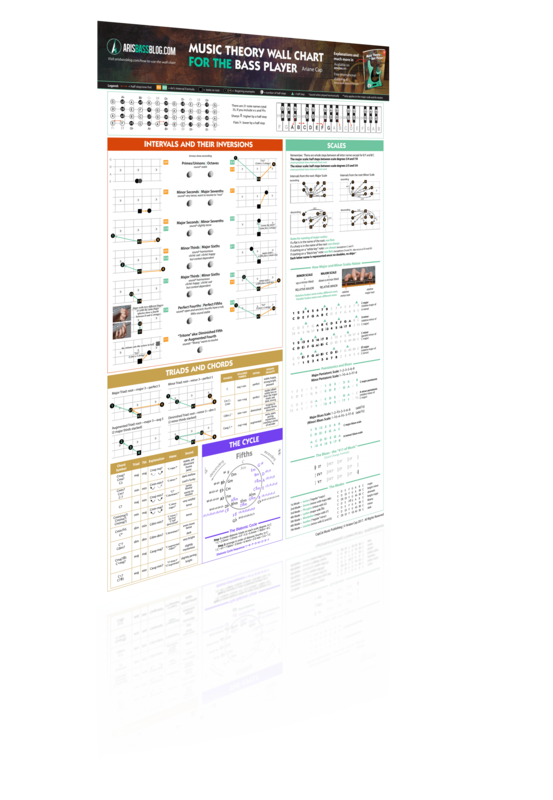 Idividualized Lesson Plans and Lesson notes with practice instructions, PDFs, backing tracks emailed after each lesson. I wanted to let you know how much I’m enjoying our lessons. 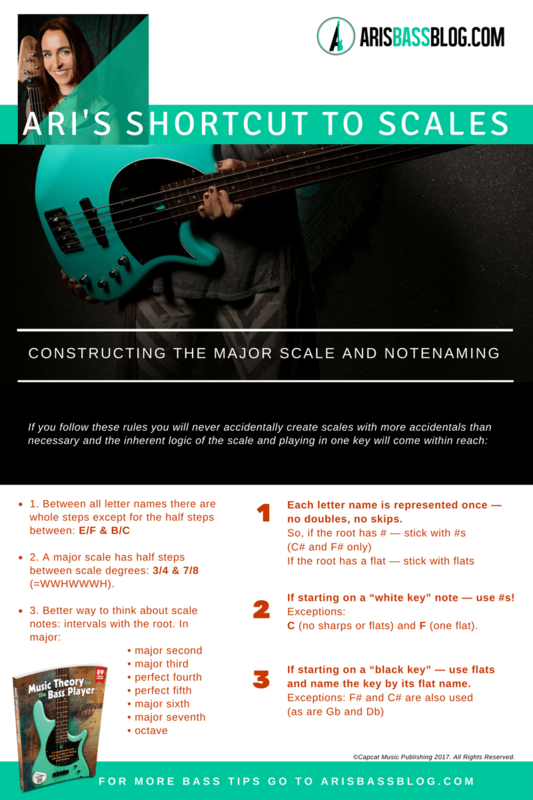 I feel like I’m progressing with my understanding of music and how it relates to the Bass guitar. 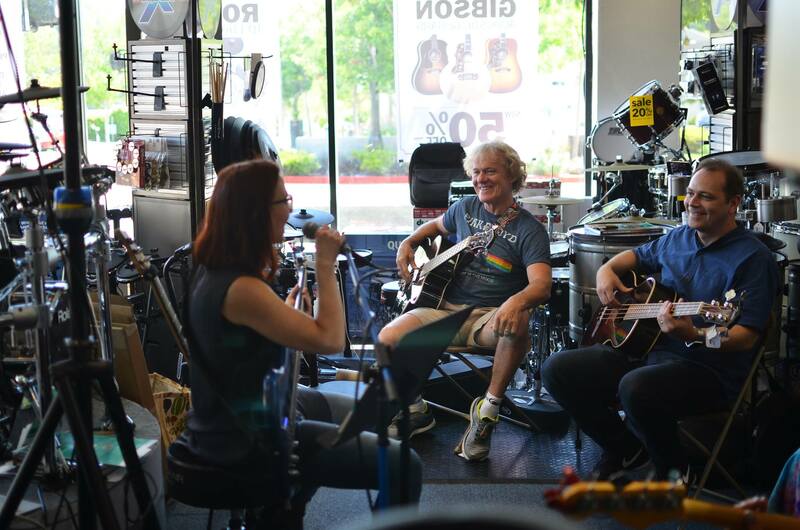 I look forward to practicing and am developing a more purposeful approach to practice. It seems like I am having breakthroughs every time I sit down with the instrument. My big project right now is shedding the G Patterns #1, 2 & 3. Learning the notes,chords, inversions,identifying the major and minor chords in those patterns,then trying to apply the patterns to the Cycle of 5ths. I’m very impressed with the work you’ve done. It’s refreshingly different, thorough and well organized – and the videos are a huge plus. I have no doubt you’ll have great success with it! 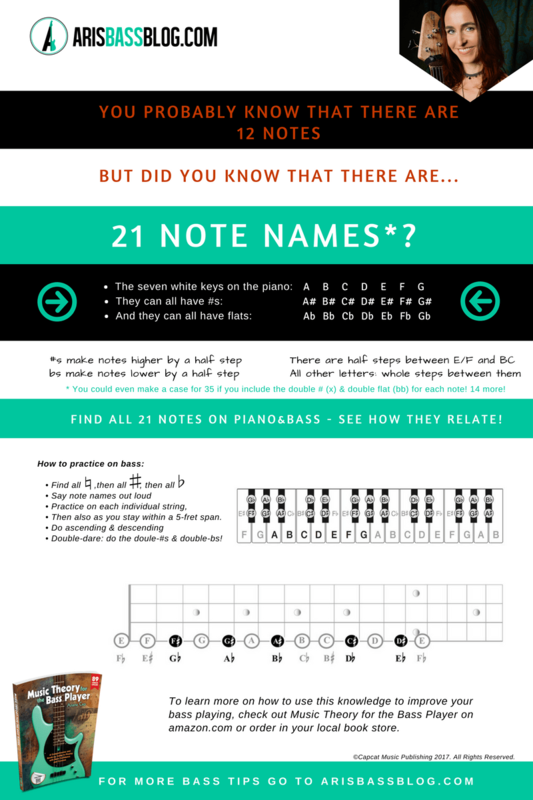 I know I will certainly recommend it to students looking for help with music theory and harmony or just to improve or correct their bass technique. 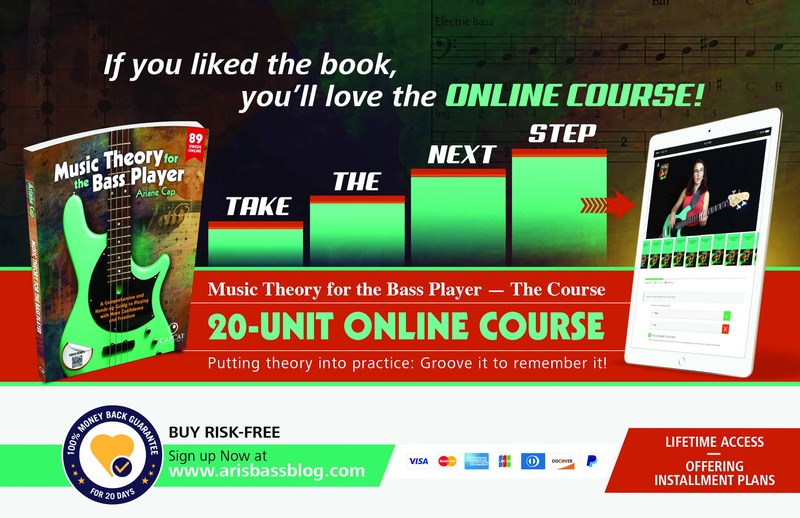 If you are serious about exploring the bass guitar while making the best use of your precious time, this book will be an essential asset to your creative journey. Ariane has accomplished nothing less than a flawless road map from the microcosm of basic building blocks to the macrocosm of advanced comprehension. 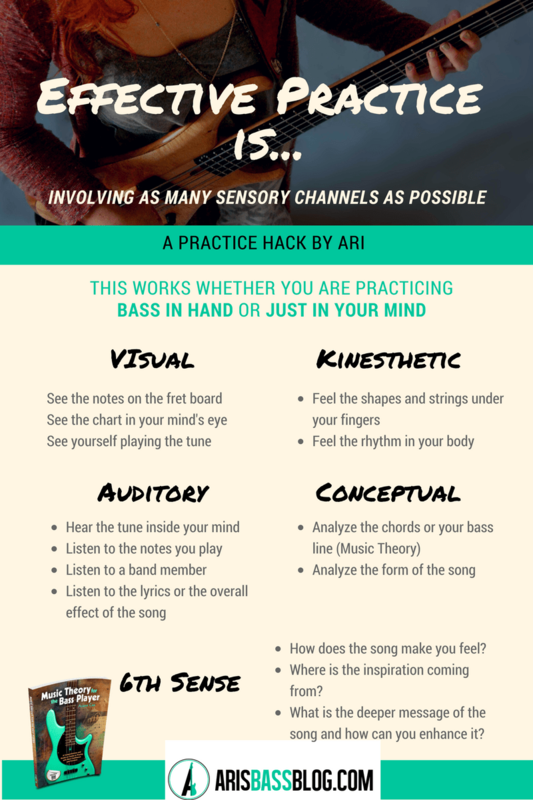 The book’s holistic methodology skillfully combines the unavoidable facts of music with an elegant psychological approach to the art of learning itself. 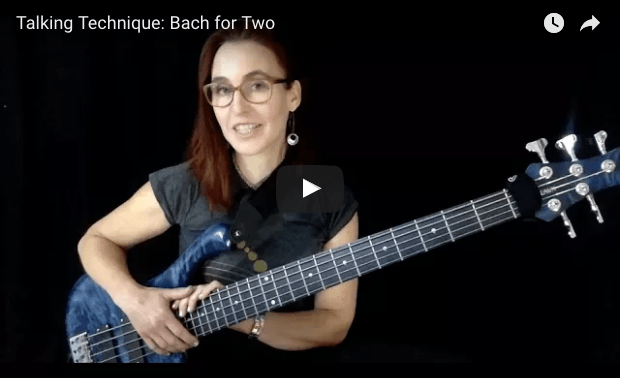 Music Theory for the Bassist will take you right to the edge of your nest from where you can jump into the unknown with a powerful set of wings to fly by. 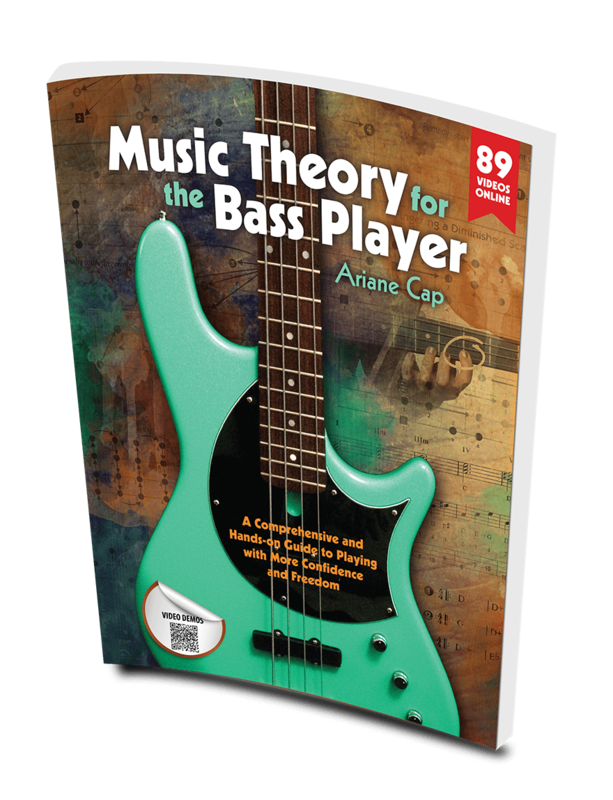 Music Theory for the Bass Player by Ariane Cap is a thorough and practical study of bass guitar that I’ve found to be very useful. I really like the way it is laid out. 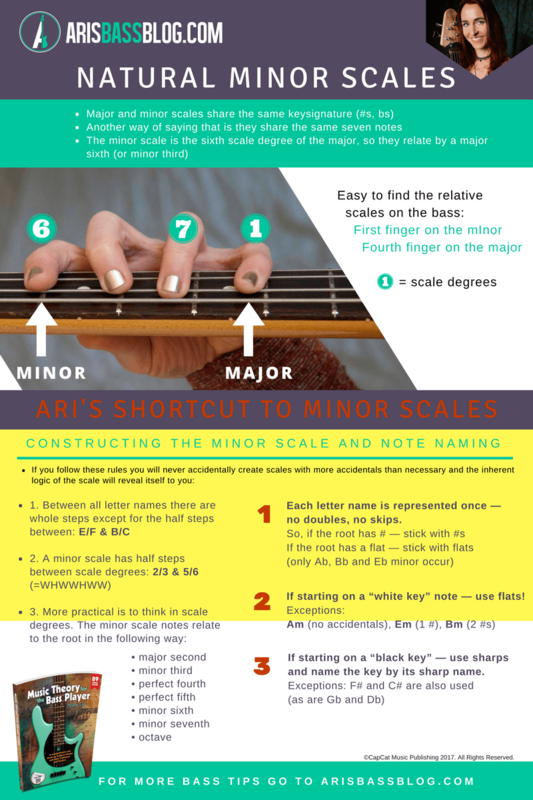 Starting with the basic knowledge of how music works, chapters on intervals, chords and modes, then a wonderful chapter on technique basics. 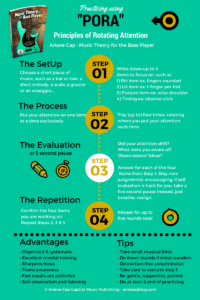 I found the sections on using the Principles of Rotating Attention or “PORA” and the Ergonomics and Health enlightening. This a great work by a wonderful musician. 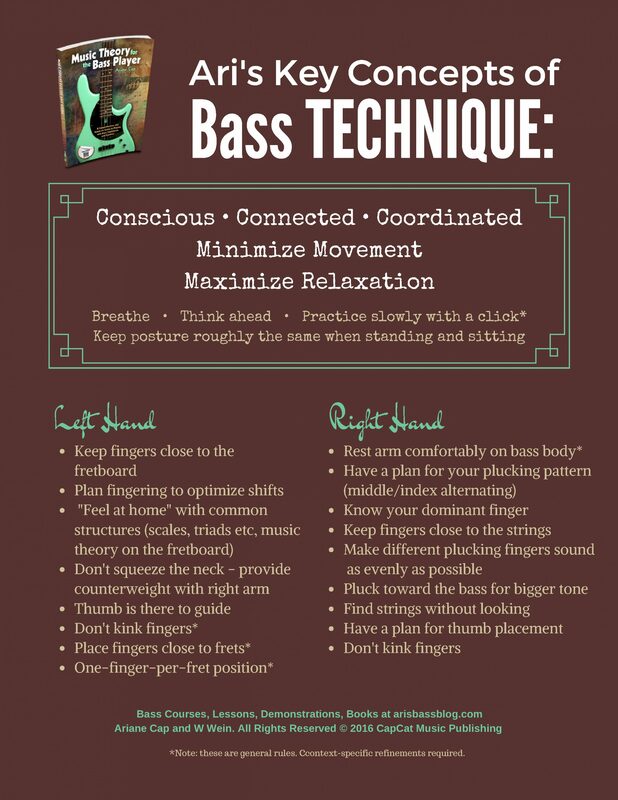 I highly recommend it to anyone looking for new and healthy ways to approach the bass. This letter is in support of Ariane Cap of OoN. I am the founder of Arts Without Boundaries, an arts advocacy organization founded in 2001. 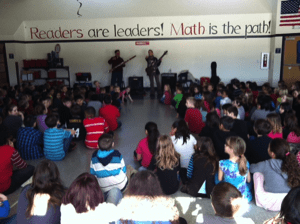 We sponsor arts programs in schools throughout the United States. 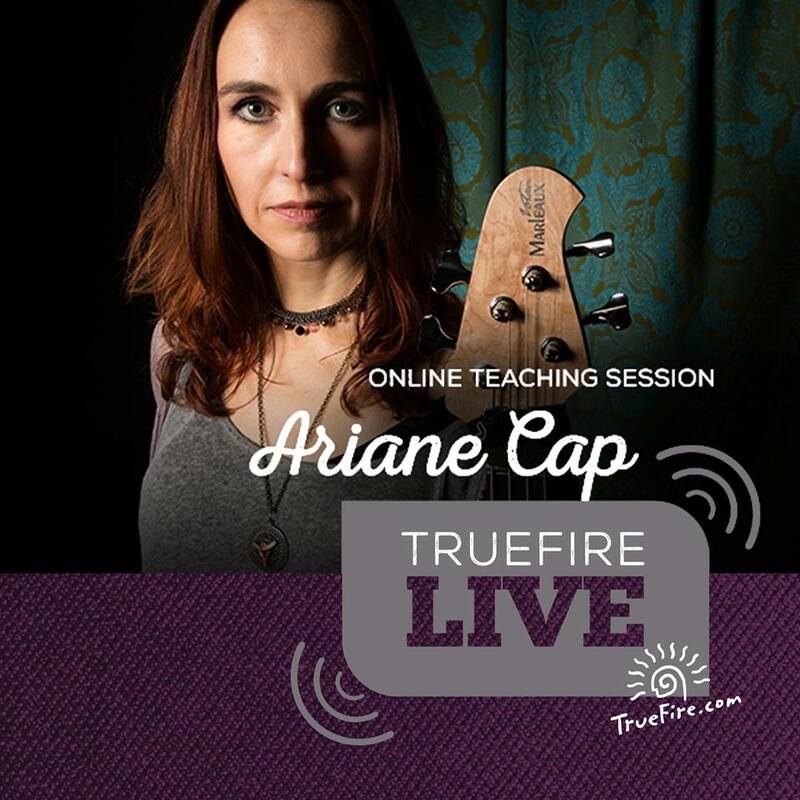 Ariane Cap came to Montana in February of 2014 under the sponsorship of AWB, and did workshops and concerts for over 3000 students in many schools and several communities. 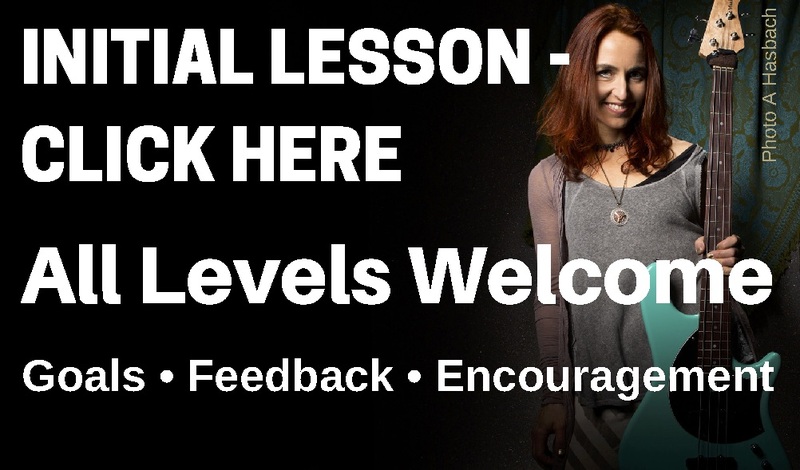 She is an enlightening and inspiring teacher and performer, and she is wonderfully engaging for all ages and levels of students. 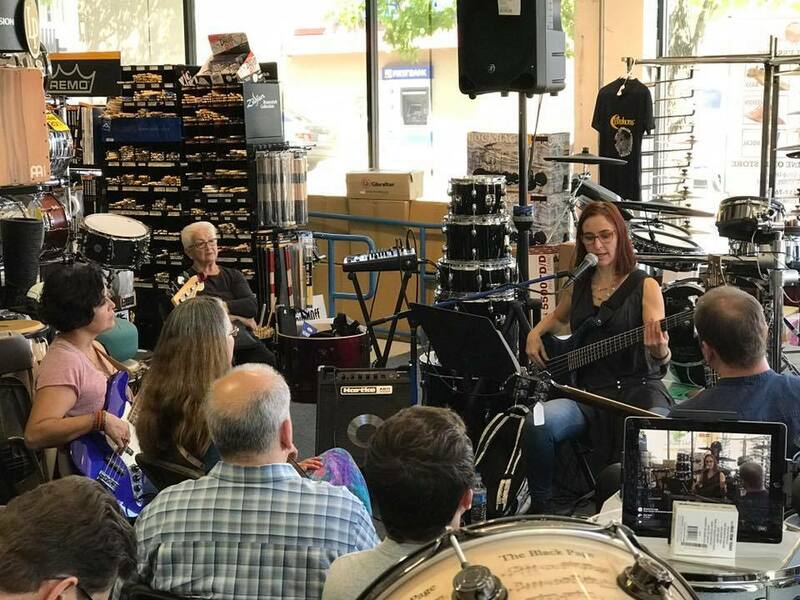 Her recordings speak to the originality of her playing, but I can say that in person, her accessibility and warmth lead to standing ovations everywhere. I recommend her to you completely and sincerely. Ari’s bimonthly “Talking Technique” column on notreble. 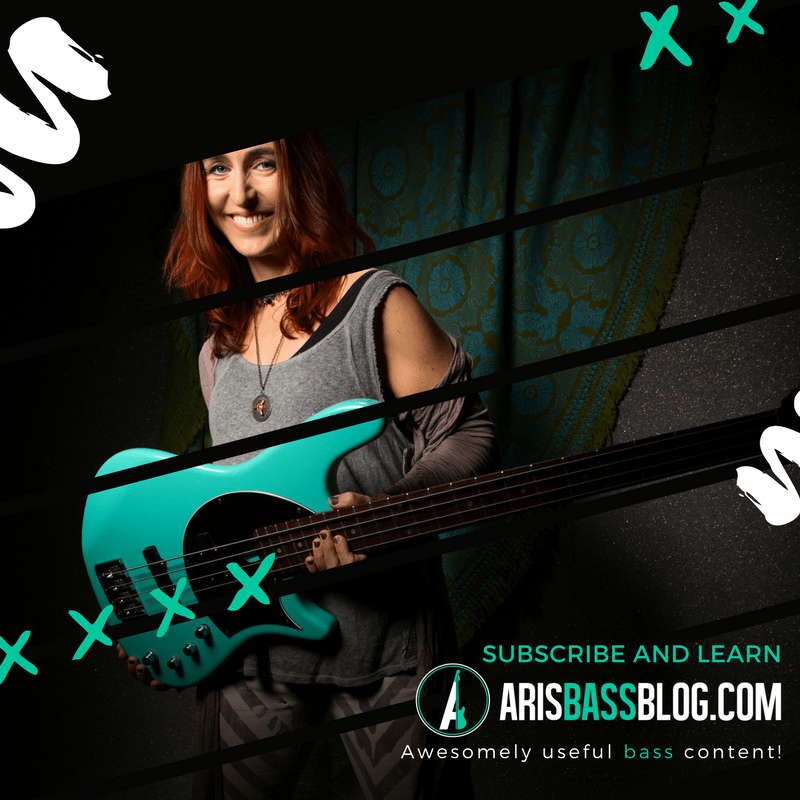 Bass technique, practice tips, cool licks… Levels vary by episode. Subscribe on notreble. 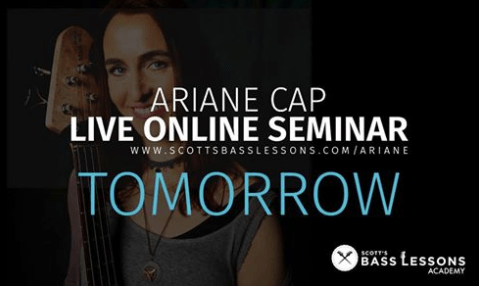 Join Scott’s Bass Lessons and watch Ari’s Seminars in the archives and learn about upcoming ones. Free Trial!